There are plenty of ways to travel around Santa Fe as well as other places around the state/country. Santa Fe Municipal Airport has nonstop flights to Denver, Dallas and Phoenix. American Airlines has daily nonstop service to Dallas/Ft. Worth and Phoenix, and United Airlines has daily nonstop service to Denver. Santa Fe is located one hour north of Albuquerque International Airport, which serves nine commercial airlines. Shuttle bus service between the airport and Santa Fe is available daily. 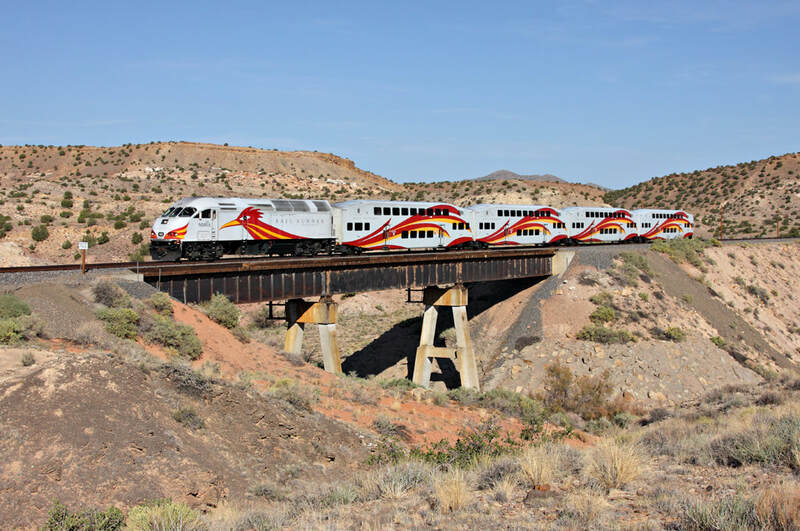 The New Mexico Rail Runner Express rail service runs from Albuquerque and points south. Santa Fe Pickup Shuttle transports Rail Runner passengers to various locations around Santa Fe. Santa Fe Trail buses run on eight routes around town and the Santa Fe pickup bus connects with the Rail Runner train schedule. Taxi service is available in Santa Fe from Capital City Cab 24 hours 505-438-0000. Tours are available for walkers and those who are looking for motorized tours in and around Santa Fe. Amtrak serves Santa Fe with the Southwest Chief service to Lamy. North Central Transit District serves the region with buses. Metered parking spots in downtown Santa Fe cost $1.00 an hour and are in operation from 8am to 6pm Monday through Saturday, excluding major holidays. Santa Fe Air Center is an FBO at the Santa Fe Municipal Airport.